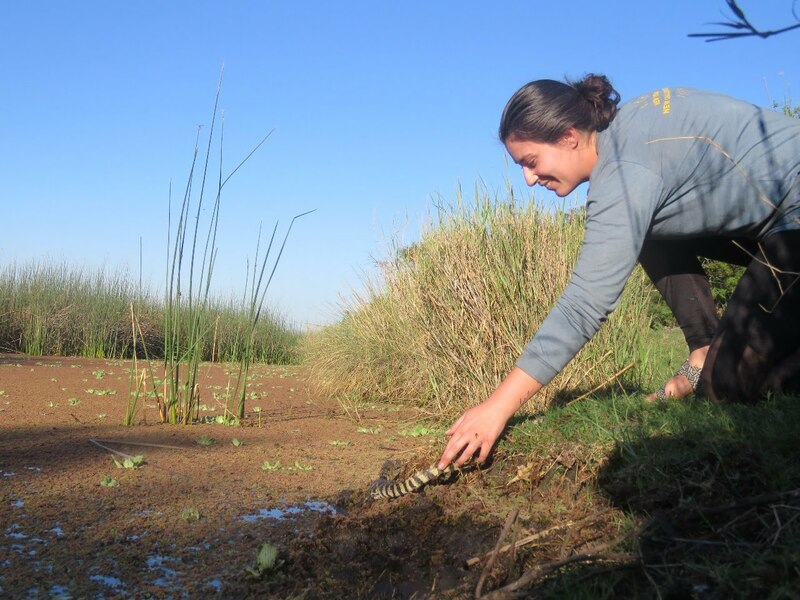 A Mote Aquarium biologist recently took her crocodilian-care skills to Argentina, assisting with a conservation and research project that is helping the broad-snouted caiman recover from environmental threats. The broad-snouted caiman (Caiman latirostris) belongs to the scientific order Crocodilia, which also includes crocodiles, gharials and alligators. This reptile, native to several South American countries, declined historically due to habitat loss and illegal hunting. Today the Argentinian program Proyecto Yacaré, based in Santa Fe, works to study and enhance wild populations of broad-snouted and yacaré caimans while supporting local economies and legal farming of the animals for skins and meat. Mote Aquarium Biologist II Veronica Garcia, who cares for crocodilians in Mote’s exhibit “The Teeth Beneath: The Wild World of Gators, Crocs and Caimans” along with multiple other resident animals, was awarded a competitive grant from the Florida Association of Zoos & Aquariums (FAZA) to spend two weeks during the past month working with Proyecto Yacaré. 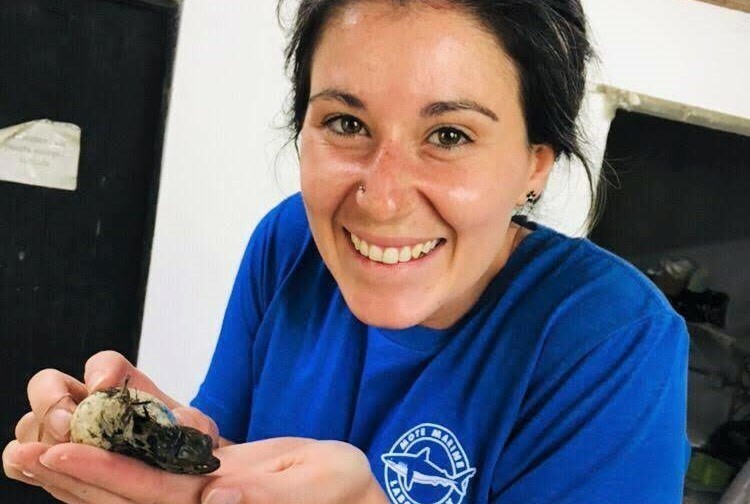 She originally connected with the project by meeting participant Lucía Fernandez during the Association of Zoos & Aquariums (AZA) Professional Development Program: Crocodilian Biology and Professional Management. Left: Juvenile caimans raised by Proyecto Yacaré and ready for release. Credit: Veronica Garcia. Working with Proyecto Yacaré colleagues Pablo Siroski, Hernán Ciocan, Samuel Hilevski, Soledad Moleón, Evelyn Lopez Gonzalez, Tomás Tamagno, Camila Seimandi and Lucía Fernandez, Garcia helped with multiple tasks — visiting nests with a local gaucho and maintaining nest-monitoring cameras, incubating the collected eggs, raising the hatched caimans, assisting with research designed to benefit the species, weighing and measuring young caimans and preparing groups of them for release into the wild. The project releases 10% of the caimans born per year. 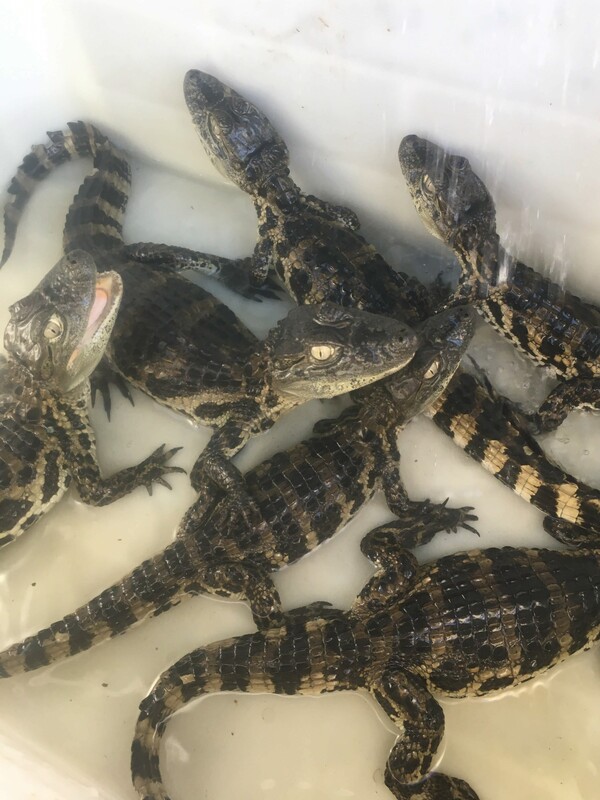 Thanks in part to Proyecto Yacaré’s efforts, the Argentine population of broad-snouted caimans was moved into a less-threatened category under the Convention on the International Trade in Endangered Species of Wild Flora and Fauna (CITES) in 1997. They moved from Appendix I (for species threatened with extinction) to Appendix II (for less threatened species whose trade must still be managed carefully). Mote Aquarium emphasizes ocean and watershed conservation, and its exhibit “The Teeth Beneath” discusses the importance of conserving crocodilians in Florida and beyond. The Aquarium is the public outreach hub for Mote Marine Laboratory, an independent, nonprofit, ocean science institution. Mote is AZA-accredited, a special distinction recognizing its high-quality animal care, research and conservation efforts, and other commitments to excellence.